Humate is formed by the biological and chemical breakdown of animal and plant origin over a few million years. Think of humate as a thousand year old compost. HumiPLUS is an organic water-soluble product containing potassium humate and fulvic acid. Humic acid & fulvic acid are popular in organic farming. Humi Plus is mainly used for nourishment of soil and improvement of plant growth. 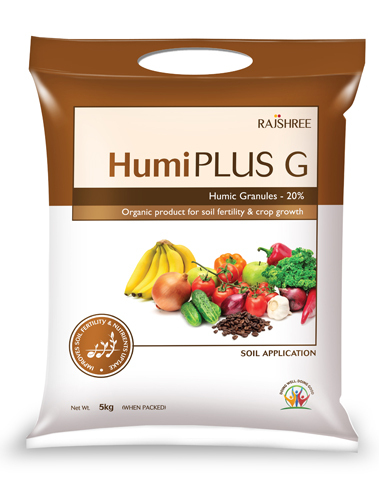 HUMIPLUS G is an organic granular product containing humic 20 %, nitrogen 10 % and potassium 10 %. It is made up of compounds and minerals, which are needed for plant growth. This product is suitable for all crops. Acts as a soil conditioner and improves soil structure. Helps to break the compacted clay soil & enhance water penetration. Improves water- holding capacity of the sandy soil and avoids leaching of vital plant nutrients. Develops larger and stronger root systems. Enhances enzymatic activity of the plant. Humate is formed by the biological and chemical breakdown of animal and plant origin over a few million years. Think of humate as a thousand year old compost. 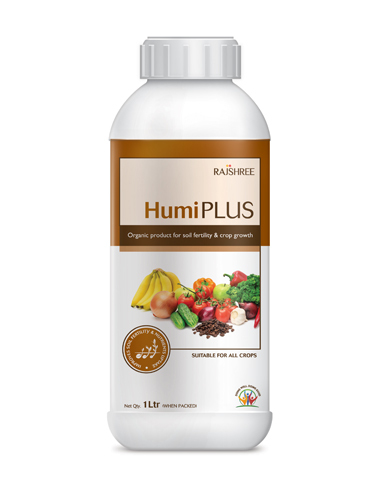 Humi Plus is an organic water-soluble product and contains potassium humate and fulvic acid. Humic acid & fulvic acid are popular in organic farming. 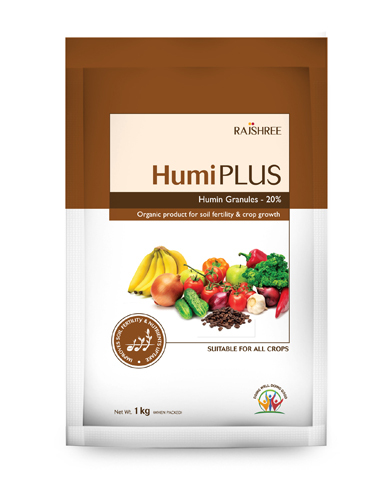 Humi Plus is mainly used for Nourishment of soil and improvement of plant growth. HumiPLUS P powder is an organic water-soluble product containing potassium humate 75% and fulvic acid 15%. It comprises of compounds and materials required for plant growth. This product is suitable for all crops. Acts as soil conditioner and improves soil structure. Improves water holding capacity of the sandy soil and avoids leaching of vital plant nutrients. Promotes development of chlorophyll, sugars and amino acids in plant. Increases yield and quality. Humiplus Liquid is an organic water-soluble product containing potassium humate 15%, fulvic acid 3%. It comprises compounds and materials required for plant growth. This product is suitable for all crops. 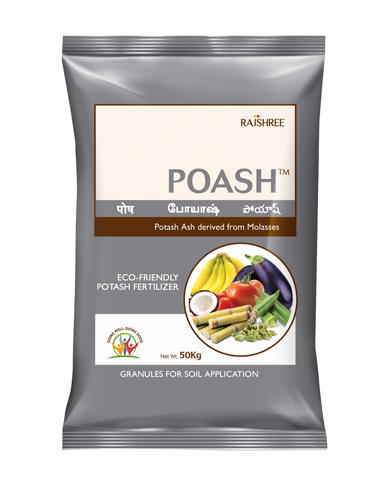 POASH is a potassium rich organic fertilizer derived from molasses, a by-product of the sugar industry. It is an excellent organic supplement of natural potassium to plants.